Designed for the Canadian market, ACCEO Childcare Services is an integrated and user-friendly management software for childhood centres (CPEs), private daycare facilities and other childcare centres. Complete and integrated management software for your childcare centre, coordinating office or agency, and any other type of daycare centre. 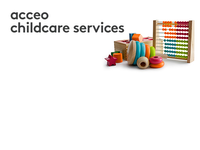 ACCEO Childcare Services is designed to simplify the administrative and accounting tasks associated with running a daycare facility. Save time and reduce costs with the three integrated modules: Childcare, Finance and Human Resources. Pros: once you get familiar with it, it is easy to go through it, but to figure it out on your own it is hard and that's when you need to talk to someone or wait for a return call from an email request. Thank you Robert for your review. We offer customized training if you need help. Theses training sessions are specifically tailored to your needs and they are given in your offices or via Internet. You can contact us to discuss your training requirements : servicesdegarde.info@acceo.com. 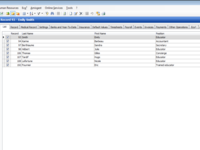 Acceo is a very friendly software and covers the needs of our business. Very logical and precise. Cons: I do not quite understand yet how the Pension Plan information is sent to Morneau Shepell because I constantly have to approve warnings. Overall: It totally reduced my work load. It took time to master all the modules because there is a lot to learn, but once you learn, the best is that work is done faster than it used to take to do the same job. I would also add that by using the software, there is less margin for human errors. We appreciate your review Grace. Thank you! 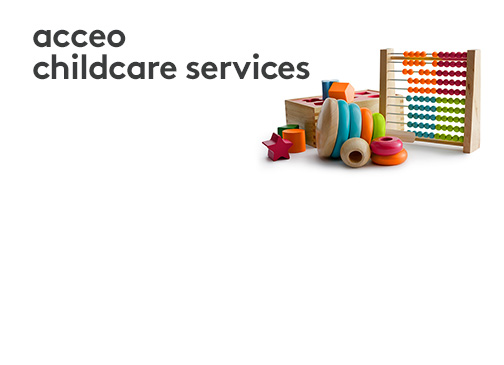 Pros: Very complete solutions with many features, Acceo ChildCare Services is designed to simplify our administrative and accounting tasks. 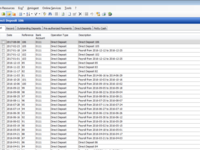 It helps us to considerably reduce the time needed for admin tasks. Cons: The software requires a local server so you need some kind of technical set-up to make it work (database) and the solution is not mobile compliant. Thank you Marie-Chantal for your review. We are now offering Cloud hosting, which can be an alternative to the local server. Our new cloud option offers easy access to your software, over a secure internet connection. Also, enjoy the many benefits of data hosting and automated backups. If you need more information, please contact us. Pros: The organization of different categories is great, you know where to look if its concerning "child" or finances etc. Ex: preauthorized payment if you have to modify the amount to more than what's written in the PAP section then you have to cancel, go in the child's agenda, modify the amount and then start over in the PAP section. Thank you Stephanie for your review. 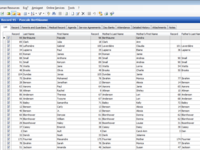 This feature is in place to protect multiple users from affecting the same fields that could create unwanted operations or corruption in the database. Cons: Always need to leave a message and wait for a call back to get support. Usually, it's the next day. Thank you Sheldon for your review. 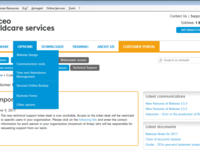 We recently implemented a new support desk that allows you to send your support requests online. This new platform makes it easy for you to submit your requests and track their progress. 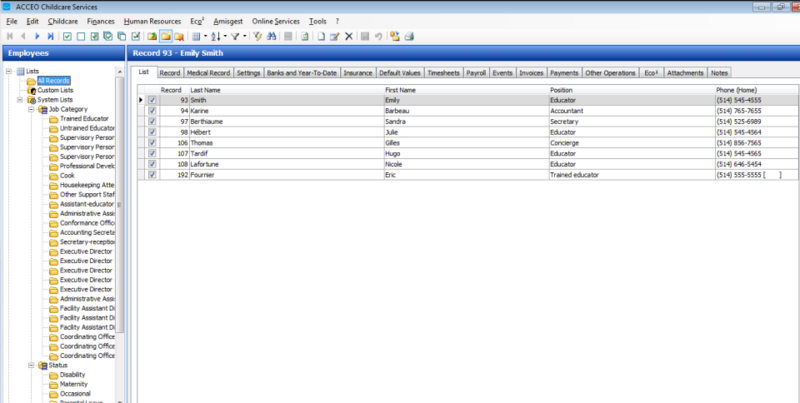 Our customer service advisors can also monitor your requests more effectively. For more information, please consult our guide in your Customer portal/Technical support. If you do not have access to the ticket desk yet, please write us a email to childcareservices.support@acceo.com. we use gestionnaire a lot and at least once a day we have an issue. the program could be better. Pros: gives reports and whenever we are having trouble the phone support is there to help and will usually give great help. Cons: there is alot. sometimes there are things that we think should be there or able to do but it is impossible. maybe the software should be looked at and ask the customers what features would help ease the use of the software. Overall: being able to transmit the necessary information to the mfa. 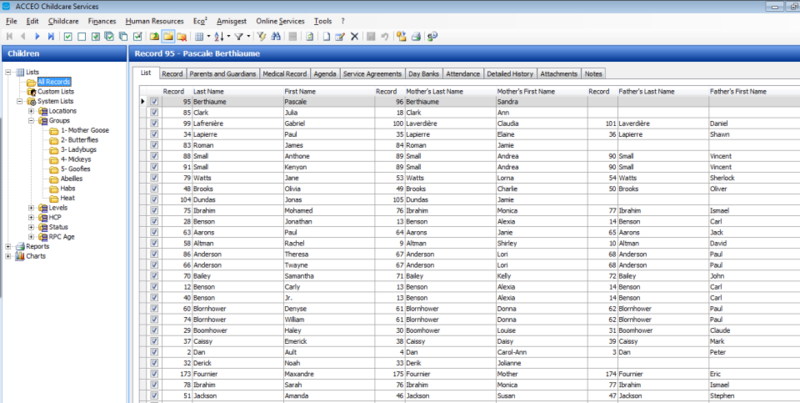 Also to be able to generate good reports. Thank you Tiffany for your review. We are sorry to hear that you have issues with the software. Please contact our customer service so we can help you: childcareservices.support@acceo.com. If you have any suggestions on the software, we will be happy to consider them for future updates.